The Profile Design Supersonic ergo 50c carbon aerobar black is one of the new highlights of the Profile Design Aerobar family along with the Subsonic. With the Ergo armrests, the Supersonic bracket offers a wide range of adjustment options. The Supersonic bracket enhances on the Sonic with easy access extension clamp and BTA mount option. Increased setback over the Sonic makes this suitable for riders that prefer armrests well behind the bar and is ideal for carbon extensions. The 50a extensions offer a 50deg ski bend shape, they also have a 7.5mm lateral shift per side (15mm total) to allow fine tuning of the grip width. Ready for inner routed cables and DI2. 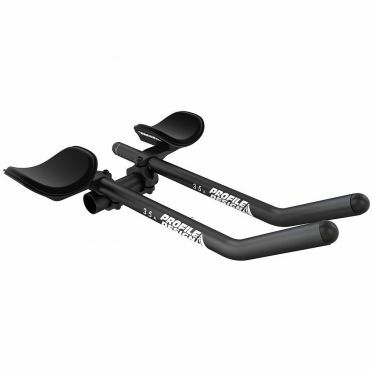 The Profile Design Supersonic ergo 4525c carbon aerobar black is one of the new highlights of the Profile Design Aerobar family along with the Subsonic. With the Ergo armrests, the Supersonic bracket offers a wide range of adjustment options. The Supersonic bracket enhances on the Sonic with easy access extension clamp and BTA mount option. Increased setback over the Sonic makes this suitable for riders that prefer armrests well behind the bar and is ideal for carbon extensions. The new 4525a extensions complete the aerodynamic and flexible package. Ready for inner routed cables and DI2. The Profile Design Supersonic ergo 35c carbon aerobar black is one of the new highlights of the Profile Design Aerobar family along with the Subsonic. With the Ergo armrests, the Supersonic bracket offers a wide range of adjustment options. The Supersonic bracket enhances on the Sonic with easy access extension clamp and BTA mount option. Increased setback over the Sonic makes this suitable for riders that prefer armrests well behind the bar and is ideal for carbon extensions. The new 35a extensions complete the aerodynamic and flexible package. Ready for inner routed cables and DI2. The Profile Design Sonic ergo 50a aluminum aerobar black is one of the new highlights of the Profile Design Aerobar family along with the Subsonic. With the Ergo armrests, the Sonic bracket offers a wide range of adjustment options. The 50a extensions offer a 50deg ski bend shape. They also have a 7.5mm lateral shift per side (15mm total) to allow fine tuning of the grip width. Ready for inner routed cables and DI2. The Profile Design Sonic ergo 4525a aluminum aerobar black is one of the new highlights of the Profile Design Aerobar family along with the Subsonic. With the Ergo armrests, the Sonic bracket offers a wide range of adjustment options. The new 4525a extensions complete the aerodynamic and flexible package. Ready for inner routed cables and DI2. The Profile Design DRV/AEROa 135 drop bar is a high-performance aluminium aero drop bar featuring a truncated airfoil for aerodynamics, comfort and stiffness. The curve has been optimised for modern road levers. The innovative fit and ergonomics of the DRV system include a 7 degree ramp angle and a 4 degree flare in the drops, allowing a natural wrist angle for enhanced comfort and control. The Profile Design DRV/AEROa 120 drop bar is a high-performance aluminium aero drop bar featuring a truncated airfoil for aerodynamics, comfort and stiffness. The curve has been optimised for modern road levers. The innovative fit and ergonomics of the DRV system include a 7 degree ramp angle and a 4 degree flare in the drops, allowing a natural wrist angle for enhanced comfort and control. The Profile Design DRV/AEROa 105 drop bar is a high-performance aluminium aero drop bar featuring a truncated airfoil for aerodynamics, comfort and stiffness. The curve has been optimised for modern road levers. The innovative fit and ergonomics of the DRV system include a 7 degree ramp angle and a 4 degree flare in the drops, allowing a natural wrist angle for enhanced comfort and control. The Profile Design Airstryke II aerobar black comes with the Flip-Up F-13a bracket. The ergonomic Profile Design Airstryke II offers a wide range of adjustment options in width and length. 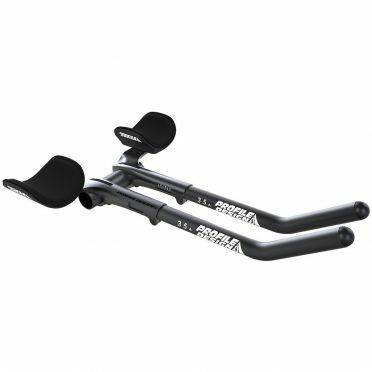 Airstryke triathlon aerobars feature a unique, patented spring-loaded, flip-up armrest leaving the base or drop bar clear for riding with your hands on the hoods. Multi-Fit system fits 26.0 mm and 31.8 mm bars. The Profile Design Sonic ergo 35a aluminum aerobar black is one of the new highlights of the Profile Design Aerobar family along with the Subsonic. With the Ergo armrests, the Sonic bracket offers a wide range of adjustment options. The new 35a extensions complete the aerodynamic and flexible package. Ready for inner routed cables and DI2. 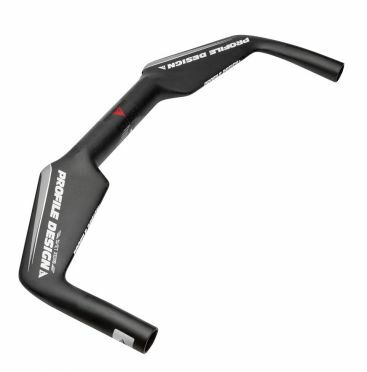 The Profile Design Subsonic aerobar black allows an aerodynamic low and narrow rider position. The new 35a extensions have an angle of 35 degrees with a rise of 80 mm. The Race armrests offer a secure grip under all conditions. Ready for inner routed cables and DI2. 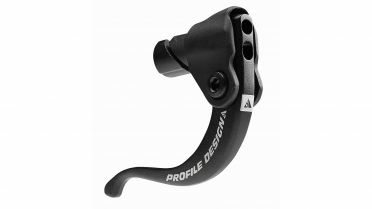 The Profile Design 3/One carbon brake levers are lightweight and ergonomic single-finger aero brake levers. The sleek and slim design reduces the air drag and gives them an eye-catching look. The levers are made from 6061 T6 aluminum and the mounts are made from composite material, Internal cable routing. Compatible with all Profile Design aerobars. Braking cables are not included in delivery! 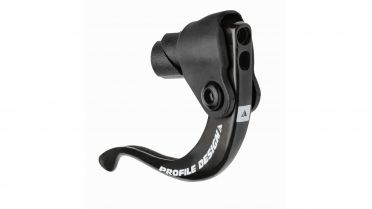 The Profile Design 3/One aluminium brake levers are lightweight and ergonomic single-finger aero brake levers. The sleek and slim design reduces the air drag and gives them an eye-catching look. 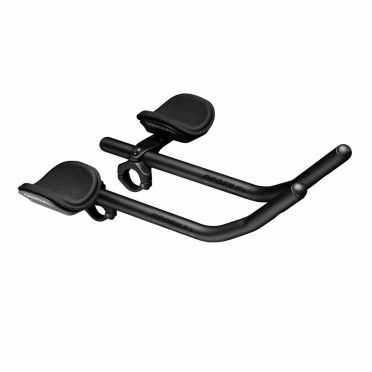 The levers are made from 6061 T6 aluminum and the mounts are made from composite material, Internal cable routing. 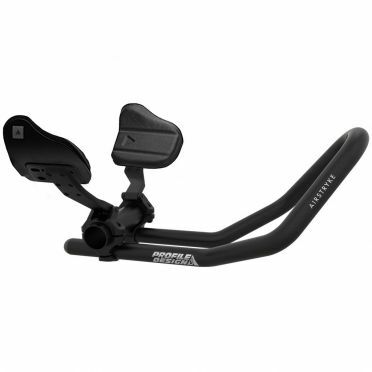 Compatible with all Profile Design aerobars. Braking cables are not included in delivery! This Profile Design Svet zero carbon base bar is an ultra light and extra flat carbon base bar with zero degree aero design. 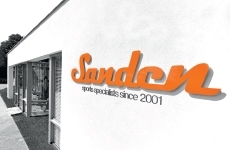 Developed for outstanding aerodynamics and a zero drop from center of clamp to center of the outer extensions. This bar is pre-slotted for internal cable routing and also ready for Shimano Di2 shifting systems. The clamp area has a width of 120 mm for individual clip-on positioning. 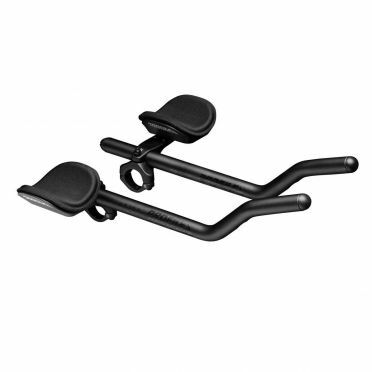 Svet Zero base bar is perfectly suited for mounting of T1+, T2+ or T3+ Carbon aero clips-ons. 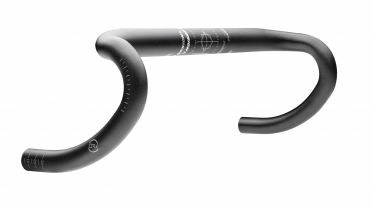 This Profile Design Svet V carbon base bar is an aerodynamic base handlebar with a deep drop design for an aggressive aero position. It can be combined perfectly with the clip-on bars of the V-Series. The Profile Design Svet V is prepared for inner cable routing for a clean look. 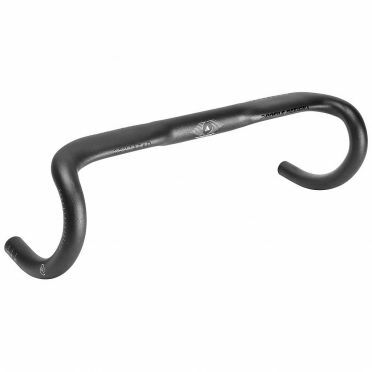 The Profile Design Svet R carbon base bar is the evolution of the Svet. Now it is reversible mountable and improves the fit for bikes with smaller headtubes. Thanks to multi-layer carbon fibers, it is lightweight and also stable, the outstanding aero shape is achieved by the aggressive aero design and the flat upper bar. The Svet R is pre-slotted for internal cable routing and also ready for Shimano Di2, the clamp area has a width of 120 mm for individual clip-on positioning. Perfectly combinable with T1+, T2+ or T3+ Carbon aero clip ons. 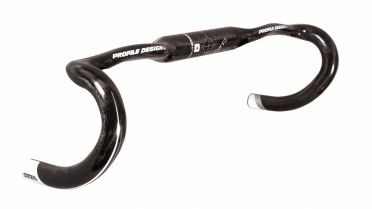 The Profile Design 1/Thirty-Five drop bar was specially designed for modern, ergonomic road bike geometries. Made of triple butted 6061-T6 aluminium and compatible with the most aerobars. 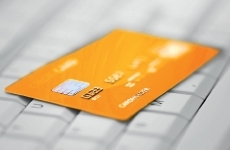 It allows a deep, aggressive hand position which is tagged with the DRiVE identification. 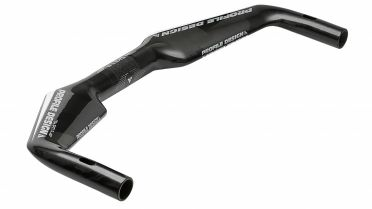 The Profile Design 1/Twenty drop bar was specially designed for modern, ergonomic road bike geometries. Made of triple butted 6061-T6 aluminium and compatible with the most aerobars. It allows a deep, aggressive hand position which is tagged with the DRiVE identification. 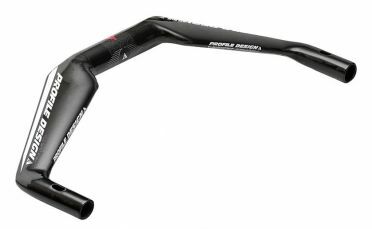 The Profile Design 1/Zero-Five drop bar was specially designed for modern, ergonomic road bike geometries. Made of triple butted 6061-T6 aluminium and compatible with the most aerobars. It allows a deep, aggressive hand position which is tagged with the DRiVE identification.